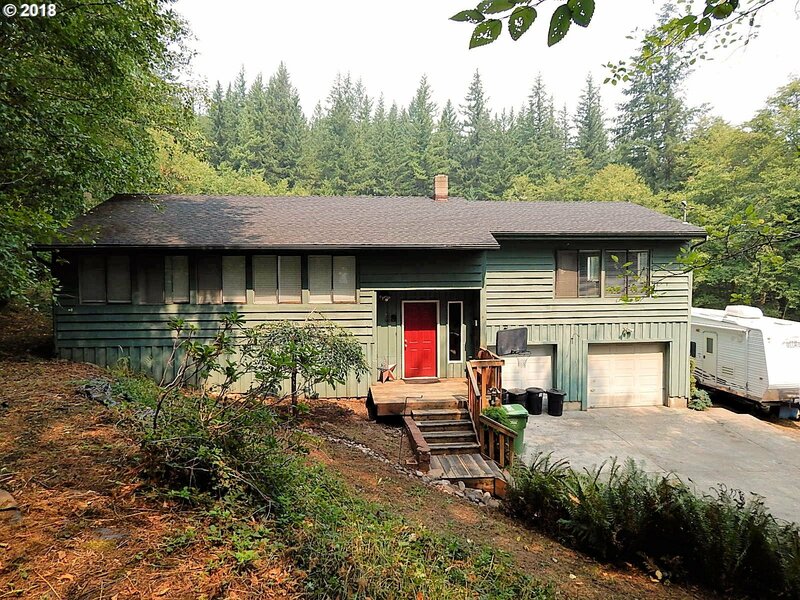 QUIET PRIVACY/WOODED SETTING! Flag lot parcel on dead end road in rural Rainier hills. NOT a drive by. Split level hm w-some remodeling/minor cosmetics/paint. Vaulted, tongue-groove beam ceilings. Greenhouse/raised beds & 24x24 shop. Loafing shed w-paddock for small critters. Chicken coop. Trails through the property's western hill. Window/portable AC included. Pool removed before closing. Young apple tree/firewood excluded from sale.